7 culture lessons from contact center industry veterans. 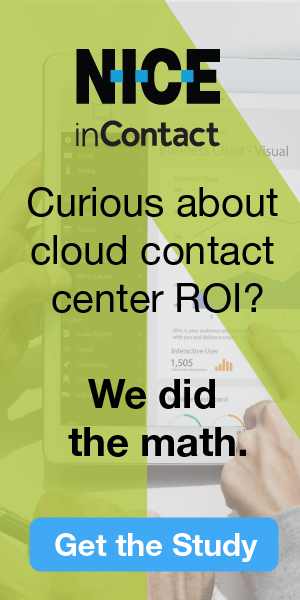 Over the years, we’ve had the privilege of highlighting in Contact Center Pipeline many high-performing contact centers with exceptional levels of employee and customer engagement. Given the growing visibility of the vital role that culture plays in business success, we decided to review some of the practices, insights and key takeaways shared by contact center industry veterans in the past year on how to create a great culture. Pacific Life’s Retirement Solutions Division’s (RSD) contact center leadership team used employee engagement survey feedback to reenergize the contact center’s career development initiatives, says Lorene Gordon, Pacific Life’s senior vice president of Operations & PMO, Retirement Solutions Division. Performance goals also were established for the management team to create accountability for putting career plans in place for each rep. Professional development aids were rolled out, including a monthly employee publication to highlight “opportunities, success stories and senior employee guidance on advancement,” and career development resources that reps could access via the intranet. Not surprisingly, the employee development program had a significant impact on contact center attrition. Within the first year, the attrition rate dropped dramatically and almost half of the remaining attrition was positive—reps who left for advancement opportunities within the company. “Create an environment where agents can integrate that culture into their own personalized experience, and make it fun for the entire contact center. Embrace company culture and help agents portray the brand to customers. “For example, think about Apple and Trader Joe’s. Each company builds a culture and sets the tone to the market. Apple portrays a simple and elegant experience, and they expect their service team to do the same. Trader Joe’s aims to create a shopping experience that reflects a relaxed attitude and lifestyle, so they encourage store employees to wear Hawaiian shirts and strike up conversations with shoppers. Another example is athletic retailer New Balance. When you walk through their contact centers, walls of shoes on display surround you. Carbonite’s commitment to its staff’s growth and development is a significant contributor to its high employee engagement. The company invests heavily in training initiatives to ensure that frontline agents are knowledgeable, skilled and successful in their careers. Although not required, the company sup- ports frontline agents who wish to pursue professional certifications. Carbonite has put several trainers through the Microsoft Certified Trainer program so that they could provide frontline staff with certification classes onsite. The company also partnered with computer-based testing provider Pearson VUE to become an approved Microsoft testing center. “MS certifications are important to people who have taken a technical path in their career,” Frost points out. “Now our employees can test directly onsite at no cost to them.” Since rolling out the program, every agent who has participated has been certified. “We have a 100% pass rate,” he adds. In many companies, customer focus is a philosophy that resides primarily within the contact center. At UPMC Health Plan, a culture of service excellence permeates the entire organization. Partnership: We believe positive partnerships and teamwork improve results. Respect: We treat others as they want to be treated. Integrity: We do what is right. Innovation: We create products and services for current and future success. Development: We invest in our staff members’ continued growth and satisfaction. Excellence: We strive for “Best-in-Class” practices and outcomes. Service: We view exceptional service to all customers as a critical differentiator. What keeps you at Berlin Packaging? Is there something important that Berlin Packaging should start doing? Is there something important that Berlin Packaging should stop doing? Is there something important that Berlin Packaging should continue doing with more gusto?